As a statement of intent – and a spot of zeitgeist capturing – announcing your brewery to the world with a gose, the old German sour wheat beer style that's enjoying a global renaissance, is a pretty bold move. Making it a gose that features seaweed among its ingredient list cements the message that this isn't a brewery that's going to play things safe. 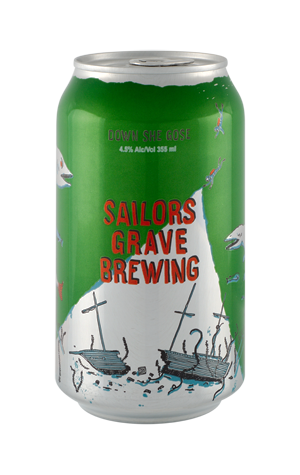 It's a beer that acts as a microcosm of Sailors Grave: it stands out from the crowd; it's subtle; and it makes a feature of locally sourced produce from East Gippsland. It's also designed to be their most approachable "session" beer, thus the various elements that make it what it is – saltiness, witbier like spices, a touch of lime, malt sweetness and a little tang – do what they do pretty unobtrusively with the aim being to create a beer that goes down easily.